FC model foam chambers are suitable for use with hydrocarbons or polar solvent fuels, as well as with all low-expansion foam concentrates, proteins, and synthe cs. 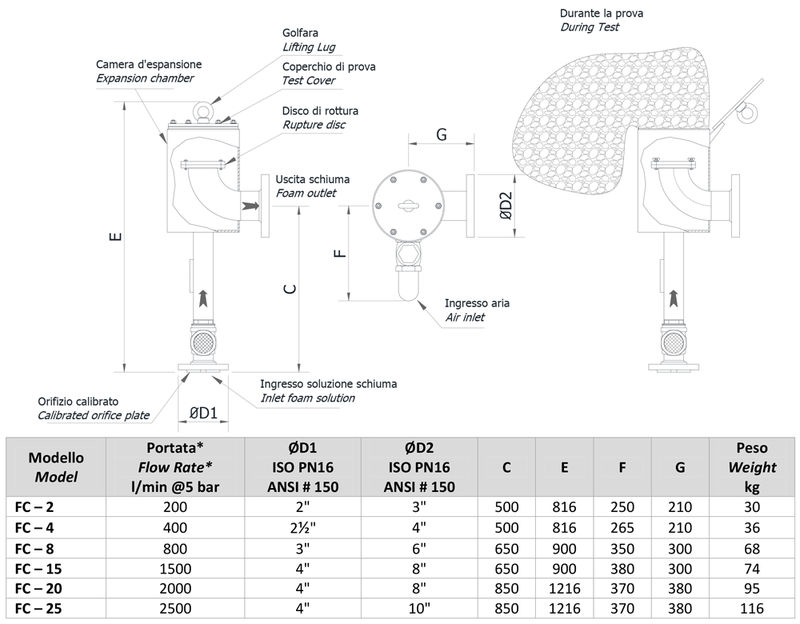 Flow rates of the equipment are determined by calibrated stainless steel orifice plates mounted onto the inlet flange connec on of the equipment in an interchangeable manner. 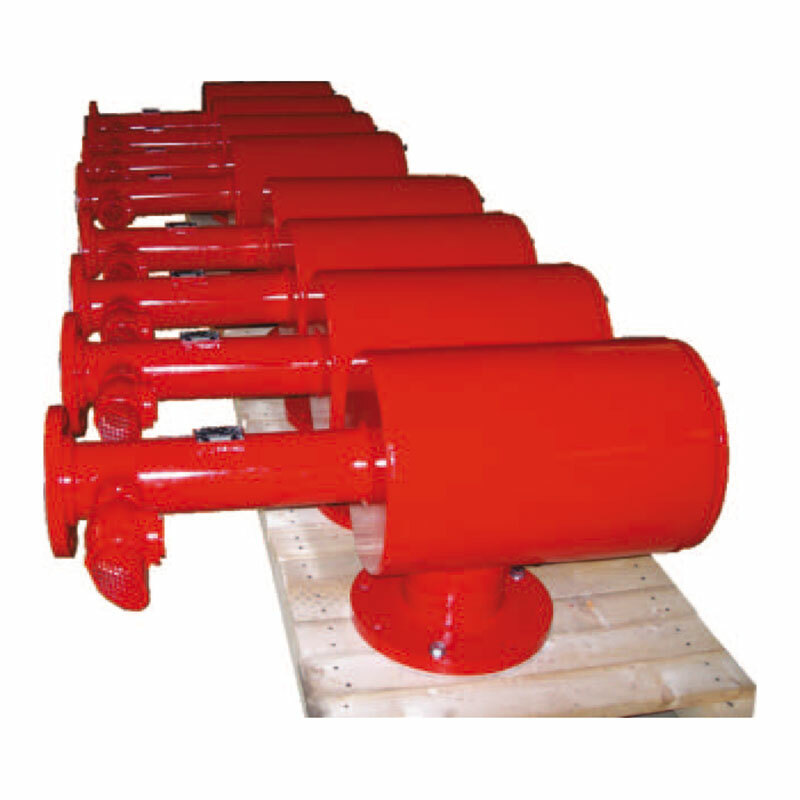 The air aspira on port of the equipment comes with a check valve which ensures the full rupture of the vapor sealing device by compressing the internal air using solu on pressure in the equipment. The vapor sealing device is made out of calibrated glass, on request graphite or stainless steel discs are available. These vapor sealing devices are simply accessible by opening the cover plate. The cover plate of the equipment is located over the expansion chamber and designed to enable the user to perform real me tests without damaging the product stored in the tank protected by this equipment. 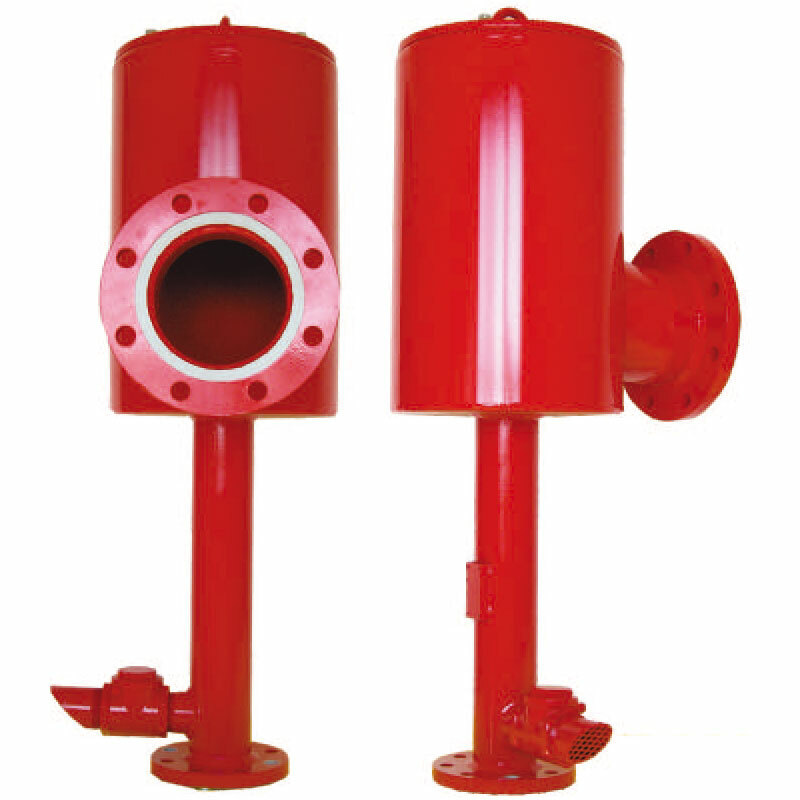 The ATEX version of foam chambers come along with special hinges which connect the cover plate to the body of the equipment, special burs ng disc, fixing elements. The standard flow rates of the equipment are limited to 2500 l/min @ 5 bars which can be extended in certain limits on request.